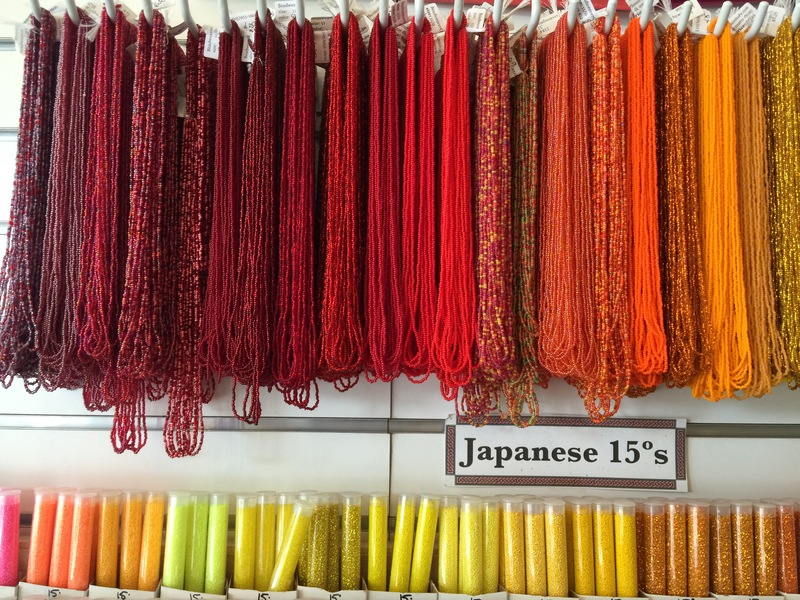 I spotted Beadweaver while driving down a main road in Santa Fe and made sure I added it to my itinerary. 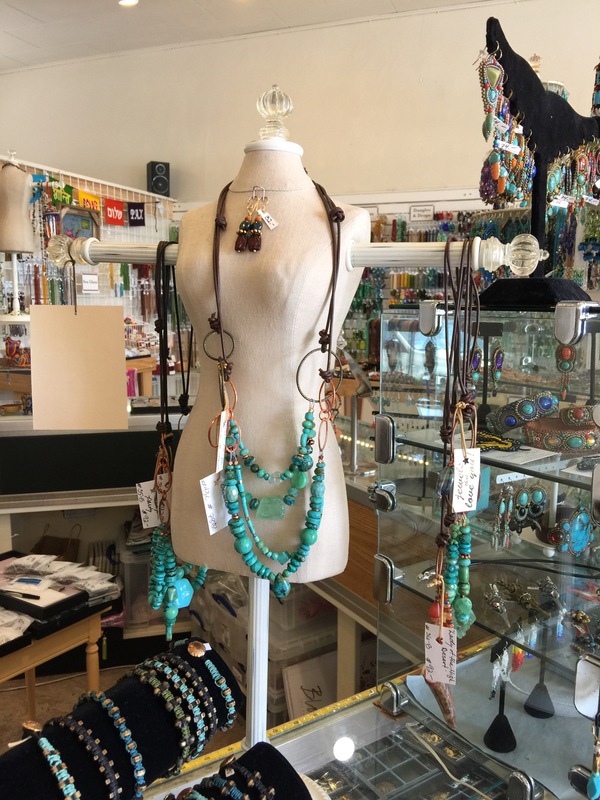 The ladies in the shop are super helpful and entertained all of my bead inquiries. 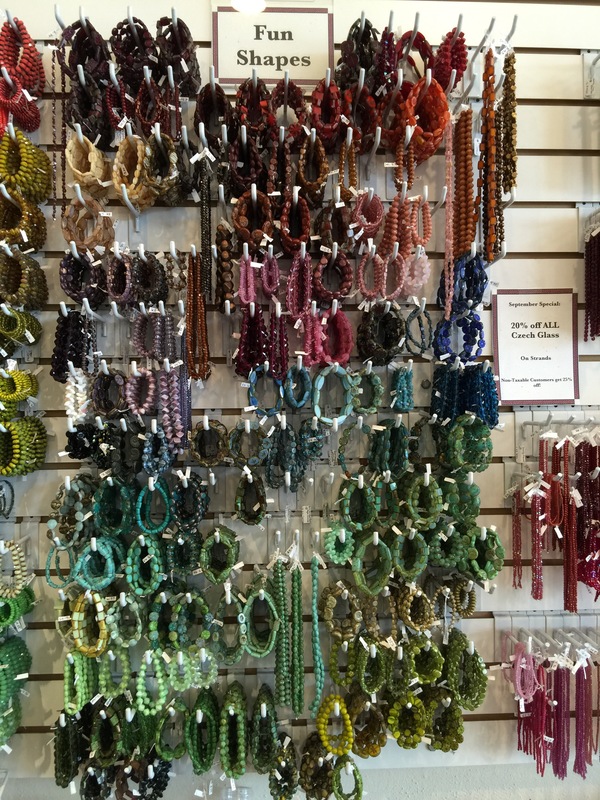 They had a great assortment of beads, including shapes I hadn’t seen before. Those were appropriately displayed in the “Fun Shapes” section. Check out these decorative finds and imagine all the lovely pieces you can create with them. There were walls of bead tubes. And walls of bead strands. 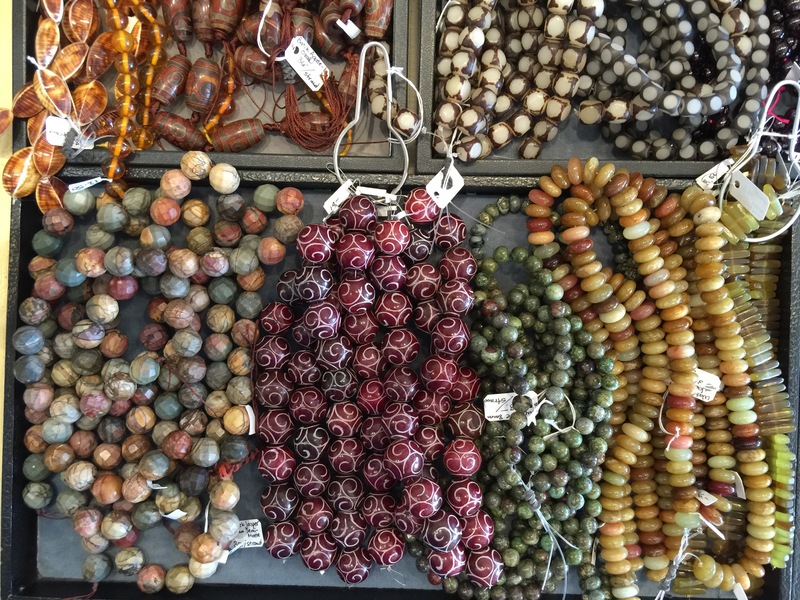 If you think you can only make jewelry with beads, think again. 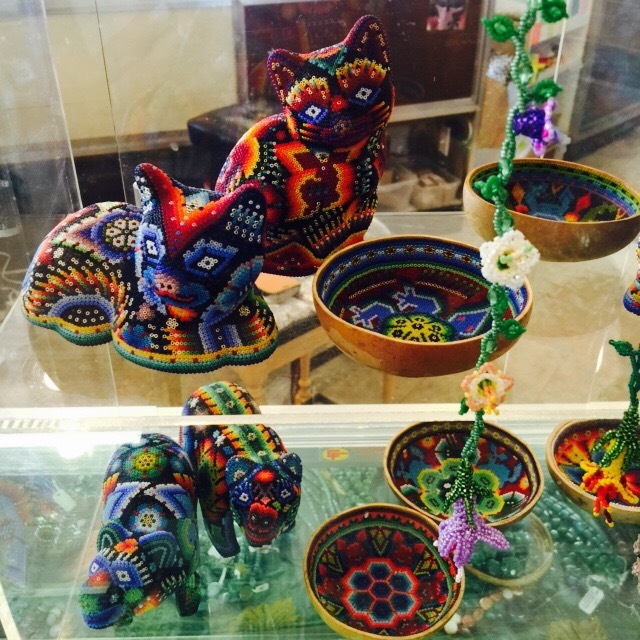 These bowls, animal figurines, and flower garlands are made with tiny beads. 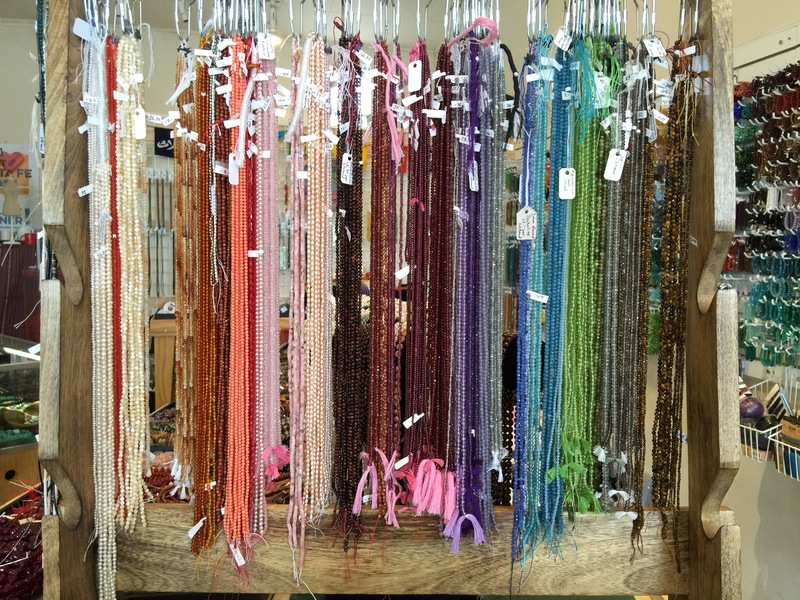 Beadweaver has lots of inspiration pieces on display and bead books for purchase. Unfortunately, they do not hold classes in the shop. They do, however, have relations with bead artists who teach elsewhere; just ask. 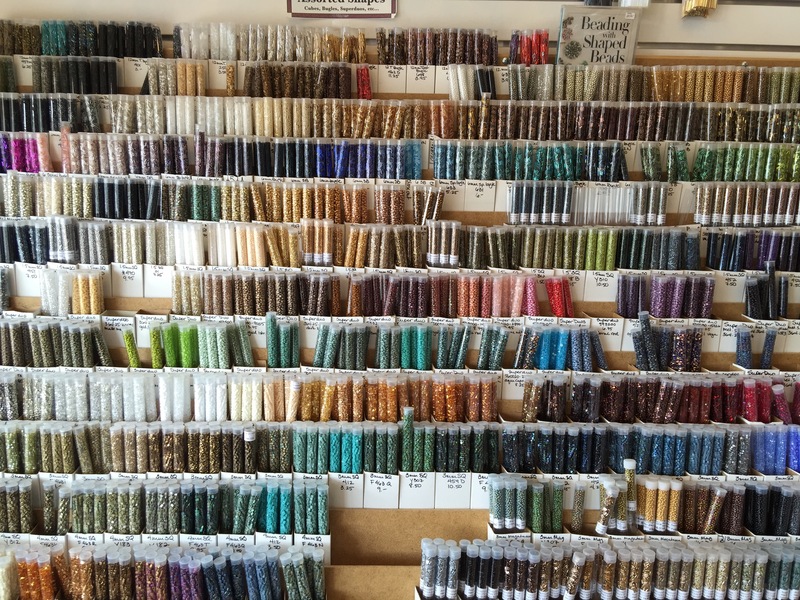 Bead enthusiasts, this is a great spot to feed your beading appetite. Like to bead? 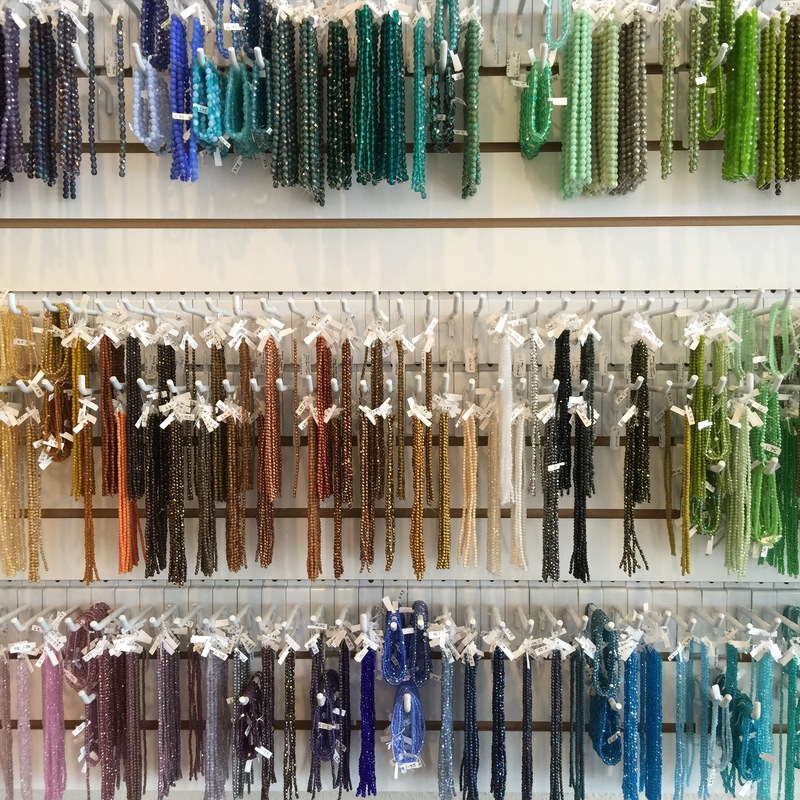 Share your love for beading below!